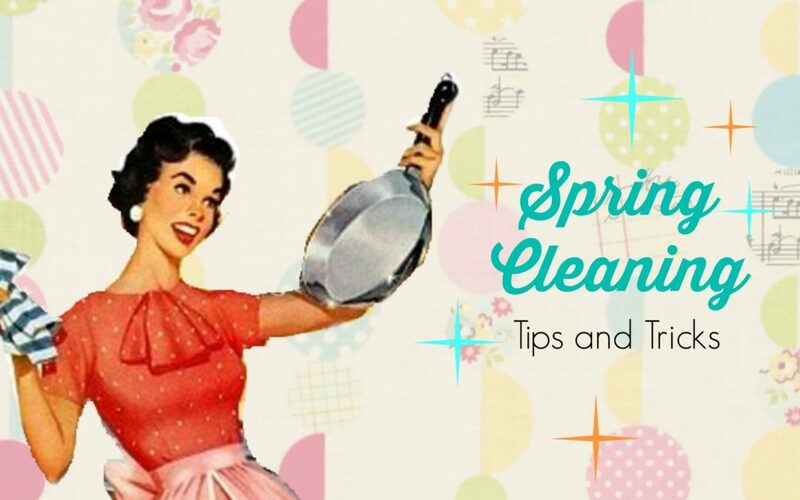 Spring cleaning doesn’t have to be an overwhelming task. Breaking it down into smaller portions will take the anxiety and chaos out of each chore. 1. Start from the top! Dust needs time to settle before you can sweep or vacuum it up. Save yourself some time by doing all the dusting first. Ceiling fans first, in-take vents, window and door trim, then blinds and baseboards last. A microfiber rag folded in half with a little vinegar and water spray helps save money on disposable dusters and keeps the environment happy! 2. Naturally clean your microwave by cutting a lemon in half, squeezing the juice into a bowl and adding the rinds and a 1/2 cup of water. Next, microwave for 3 minutes, then wipe clean! 3. Inside of windows: let that spring time sun shine! We use hydrogen peroxide (with Lemongrass essential oil) and a microfiber rag for glass. Just spray on, and wipe off. This kills bacteria while making your glass clear and streak-free. 4. Wash your shower curtains and window treatments – remember to check the tag and follow any instructions available. We spray ours daily with the Aunt Key’s Bath Spray to keep mold from building up. 5. Melamime foam – these are our best friends! You can typically clean just about any surface with them, but avoid black appliances as it can make them dull. I’ve even washed my car with them! 6. The dreaded kid’s plastic toy wash – we usually throw the plastic toys into the dishwasher with vinegar – which cleans the toys AND the dishwasher! Be aware that some bath toys collect mold inside of them. These toys will need hydrogen peroxide and a little more elbow grease. 7. Your bed should always feel like sanctuary. Unfortunately, it also can be one of the grosser parts of our homes. Spring is a great time to freshen up your mattress by mixing baking soda and lavender essential oil, sprinkling it on your mattress then vacuuming it off after about 10 minutes. Toss those pillows in the wash, then dry with a tennis ball to fluff them back to perfection. 8. You’ll need gloves for this one: the toilet seat. Taking the toilet seat off to clean it probably isn’t something you do on a weekly basis, which means, it’s gotten pretty rough down there. Urine (and everything else) gets trapped where the toilet seat meets the toilet. 9. We love hardwood floors! Keeping them healthy with a natural sheen is easy to do. We use 1 cup vinegar, 30-40 drops of citrus essentially oil, and 2 teaspoons of almond oil per 32 fl oz, then fill with warm-hot water. Mopping in the direction of the grain of the wood will prevent streaking, the vinegar will disinfect, and the oil creates a lasting shine. 10. Lastly, clean your vacuum. We have a saying that you are only as good as your vacuum. Follow the manufactures instructions. This keeps your vacuum from clogs, unwelcomed odors, working like the day you bought it. Carla and Mallory own and operate Aunt Key’s Apothecary, a professional cleaning service, which uses only natural cleaning products to get your home or business sparkling. They are based right here in Midtown and clean a good many homes in Cooper-Young. Learn more about them here!